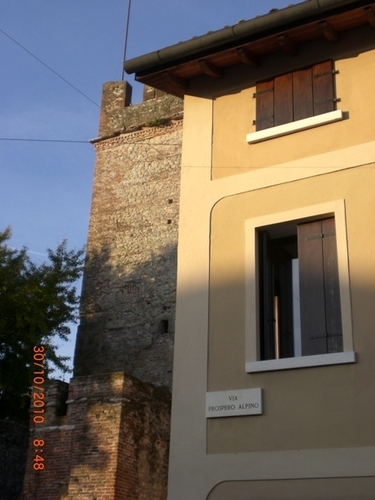 Prospero Alpini (1553 – 1616) lived in this home in Marostica (via Prospero Alpino 27). 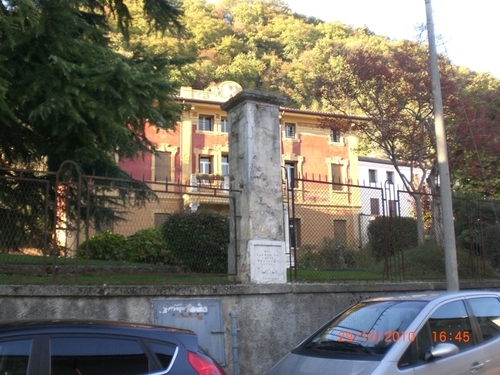 The house is situated at the foot of Mont Pauso, near the church of Santa Maria Assunta, that he was used to attend when he was young. 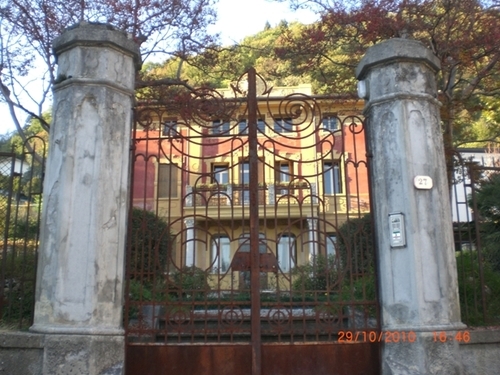 Although it has, even nowadays, a sixteenth-century structure, the home has been renovated in the liberty style at the beginnings of the 20th century. 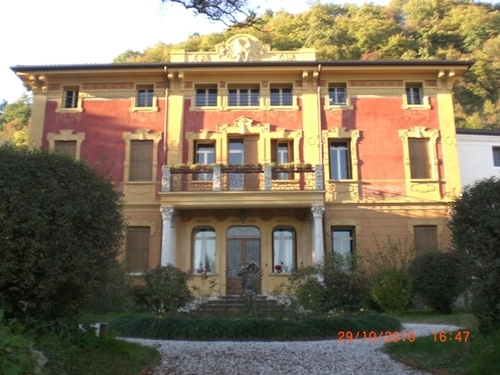 Inside, in the first floor it has a large hall and four lateral rooms: the kitchen with the breeding-ground and the "spazzacucina" with a antique sink of stone; on the opposite side there is the cellar connected with the "barchessa", the service's place1. 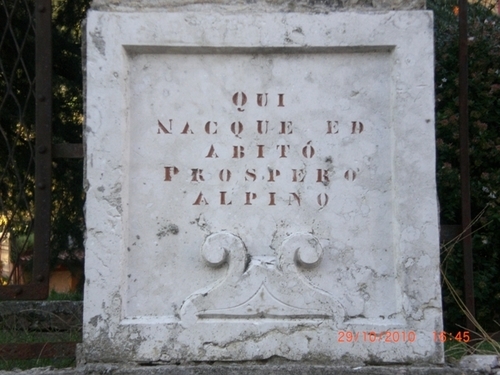 The memorial tablet on the surrounding wall reminds the visitors that: “QUI NACQUE ED ABITO' PROSPERO ALPINO”. 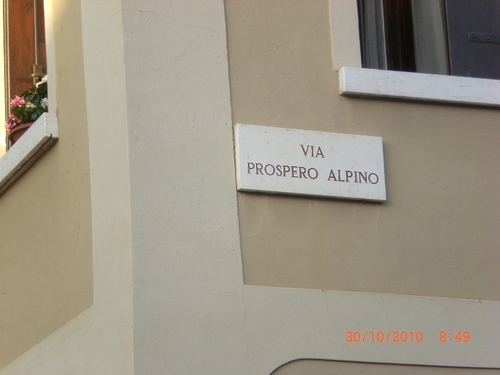 Actually his real name is Prospero Alpini rather than Prospero Alpino as the tablet underlines. 1. 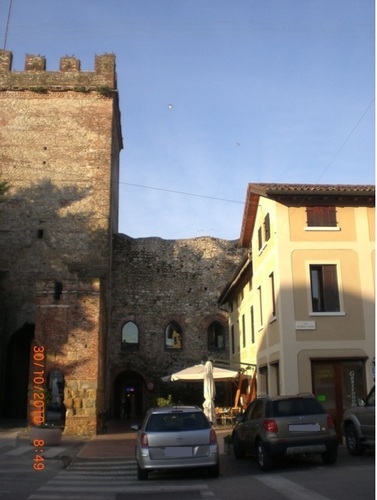 See L.T.SERAFINI, Prospero Alpini medico e viaggiatore nel 450° della nascita, Atti della conferenza di Studi, Marostica, 23 novembre 2003, Marostica 2005, pp. 34-35.